Did you know that there's a vibrant community of second and third year students in halls? They enjoy all the convenience and benefits that halls provide and live in accommodation with other students in similar study years. There are lots of advantages to living in halls. The University has recently acquired a new accommodation complex called Darley Bank. This provides a variety of en suite and studio rooms in a more independent setting. 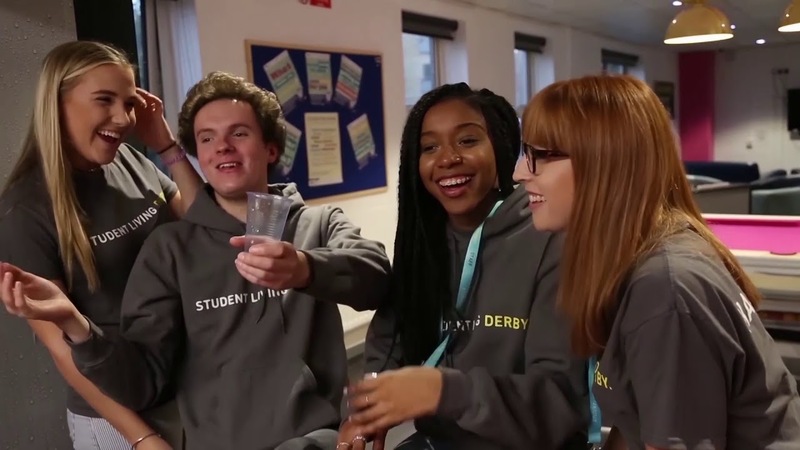 Could Darley Bank be the next step in your University journey? Why not sort out next year's accommodation and book your place in halls online now? Alternatively, ring us on +44 (0)1332 594111 for Derby students and +44 (0)1298 330391 for Buxton students.